Dating a foreigner has inspired me to become a tourist in my own province. 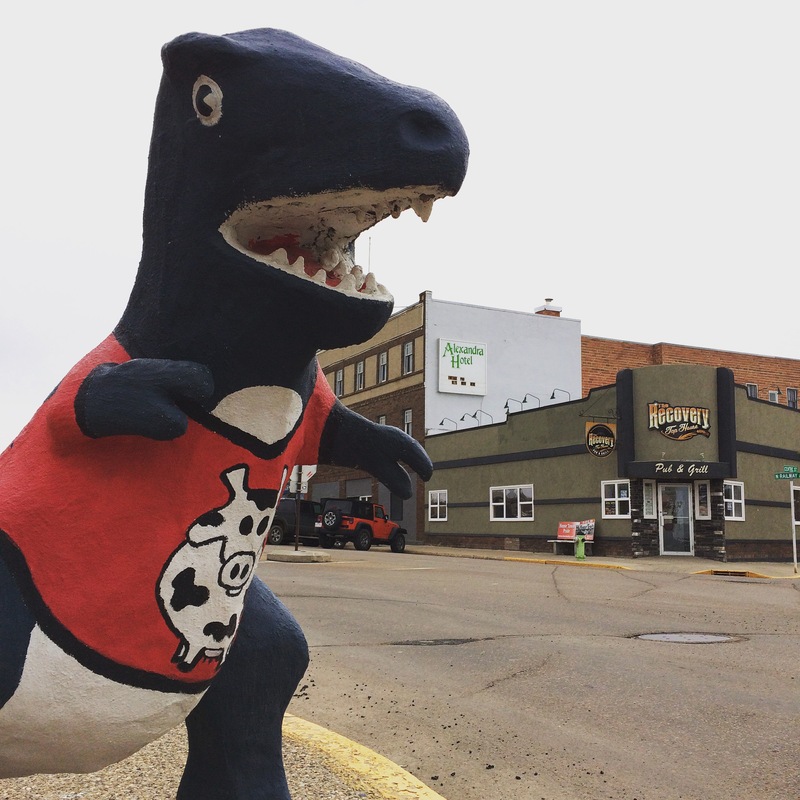 Originally I was hoping to get out of Alberta for the Victoria Day weekend in May, but with flight prices a little too high for my taste, I decided to look at travel options in Alberta. 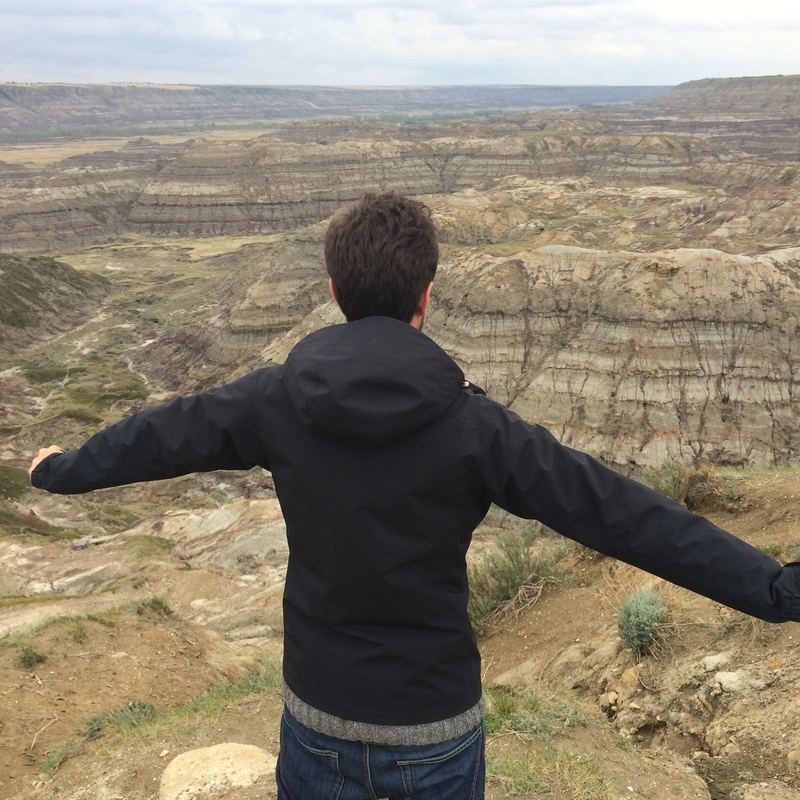 So I took a peek at the Travel Alberta website and decided on trying some of the Canadian Badlands scenic route. 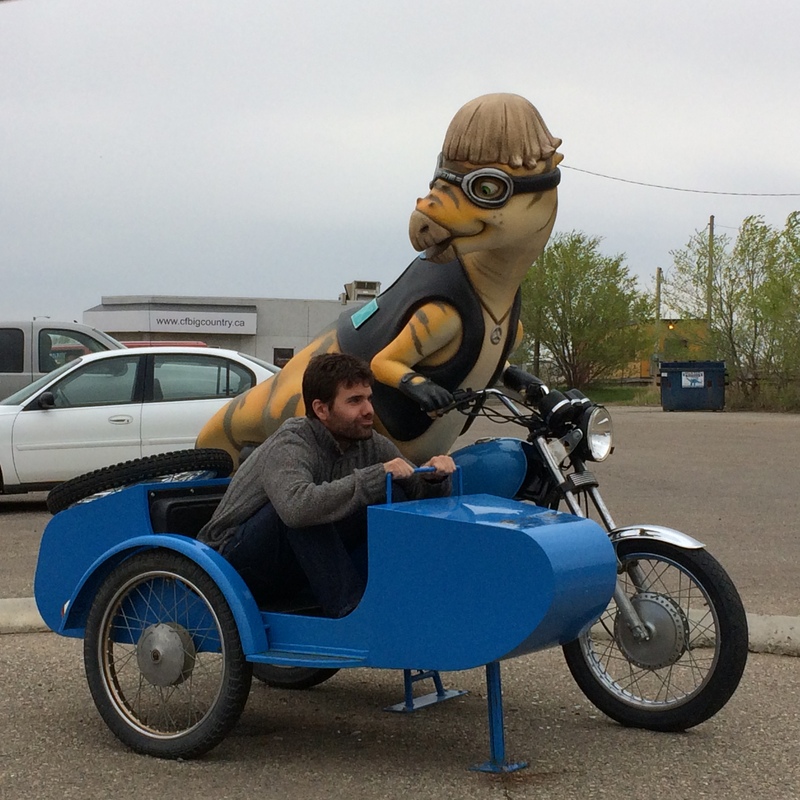 I hadn’t been to the land of dinosaurs since I was a kid so I was a little excited myself. 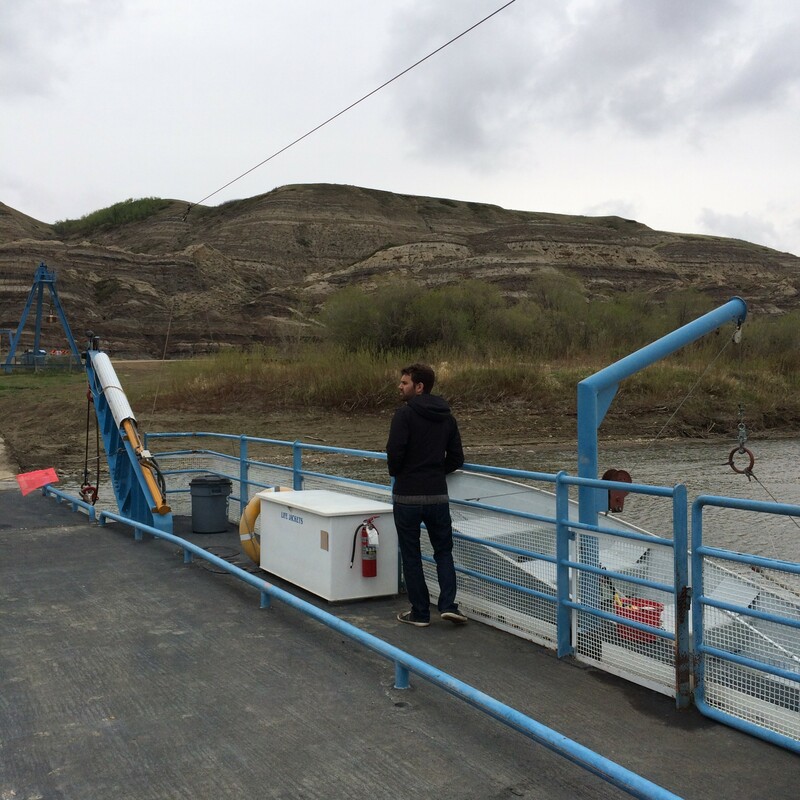 The three-hour drive to Drumheller was beautiful on the Friday evening, but we woke up to rain on Saturday morning. Not exactly ideal for a road trip – thankfully our hotel had a continental breakfast with fruit loops so The Spaniard was all smiles after two bowls. We started our morning by driving out to the Royal Tyrrell Museum -Canada’s only museum dedicated exclusively to the science of palaeontology – where we joined a lineup of families waiting to enter the dino madness. I was excited to score a 10% discount with my AMA card, but was surprised that when we got to the front of the line there were three more tills with basically no line up. Apparently they are where you line up for memberships but day visitors can go there too – but regular day visitors can go there too. If you see a big line at the door – head past it and go to the cashiers near the cafeteria. I thought the museum was awesome – and as someone who did not have a family in tow – definitely entertaining for adults. 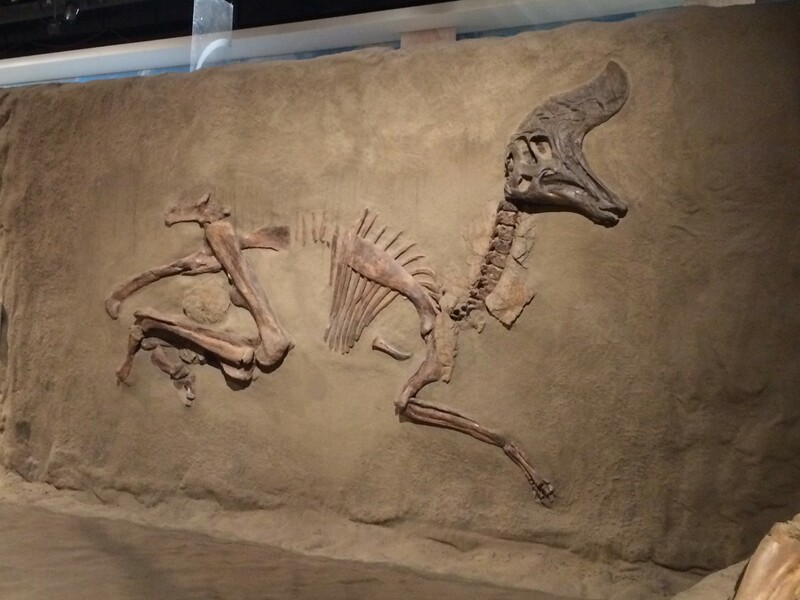 We survived Cretaceous Alberta (where I was amused by the dino with an overbite) and saw a video of how a helicopter was used to relocate a river rock with a beautiful fossil in it. We were just about to see the most beautiful black-hued T-Rex when The Spaniard had a caffeine meltdown. While he was willing to chow down on the fruitloops at our hotel, he wouldn’t have a cup of the free-flowing coffee. Upset that the cafeteria didn’t sell lattes – somebody had a bit of a pout that the museum didn’t have enough benches around. 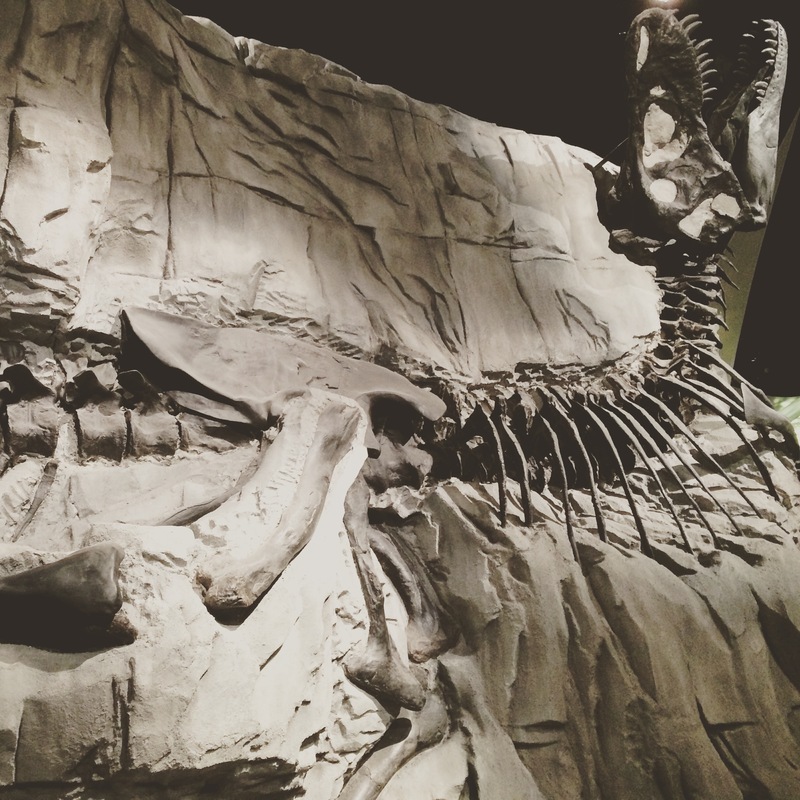 We trucked on – enjoying stunning fossils at every corner. 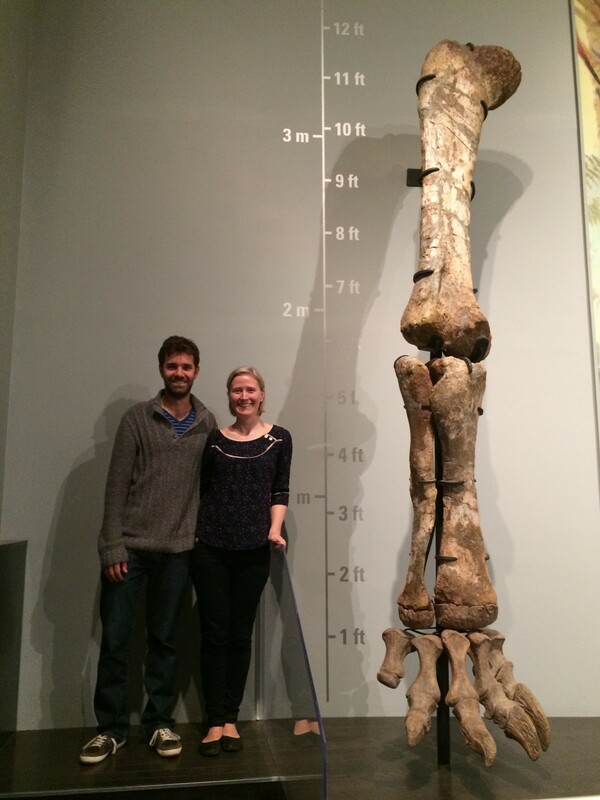 Its not often you get to spend the morning in a museum housing one of the world’s largest displays of dinosaurs, so when I saw you could stand next to a giant dinosaur leg, I got in line with a bunch of children. The Spaniard tried to walk on by as if he didn’t know me but I forced him to stay – the joys of dating a shameless Canadian. We needed more than a few hours to get through the museum, and when we were done we set off north along to the dinosaur trail scenic drive. 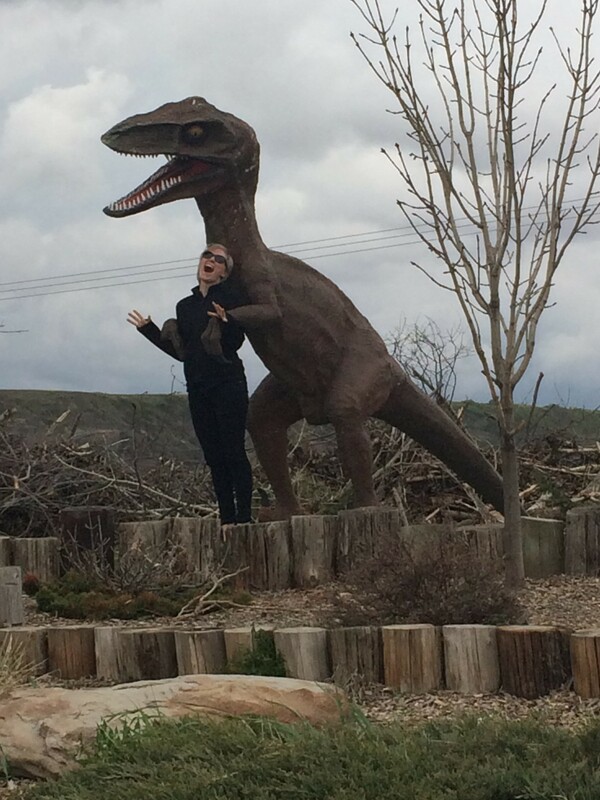 We made a pitstop for this photo at the Dinosaur Trail Golf Club. but this was the best we could do while getting sandblasted by the wind. 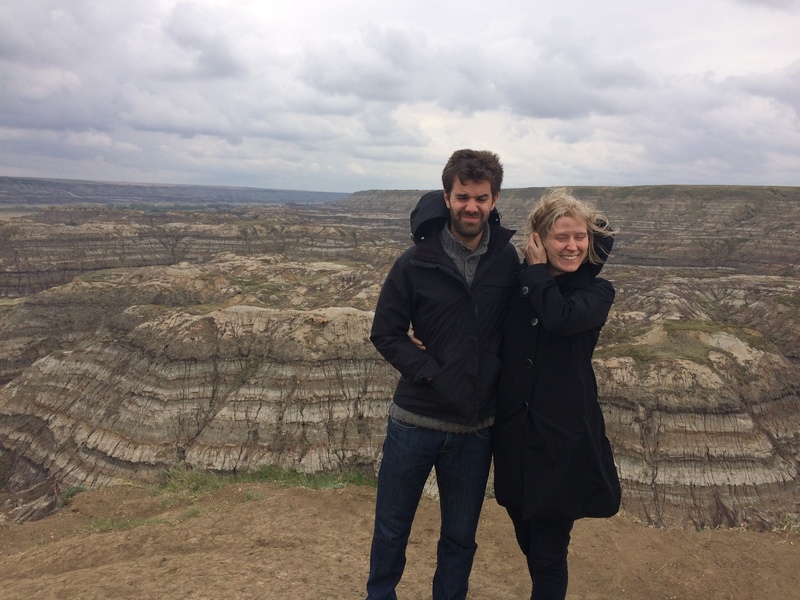 The view of the Badlands really is stunning. And on less windy days I am sure this is a great place to go for a hike, but I wouldn’t know because we ran back to the safety of the car. 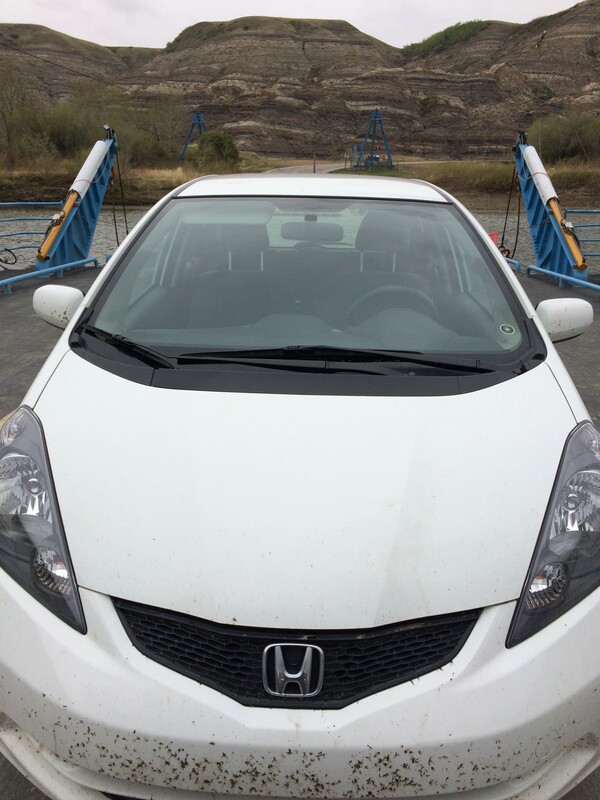 We continued north where we landed ourselves in line to board the Bleriot Ferry. It was built by Andre Bleriot, commissioned in 1913 and, in addition to providing an essential transport service, acted as a major social hub in the Drumheller Valley. And its free! 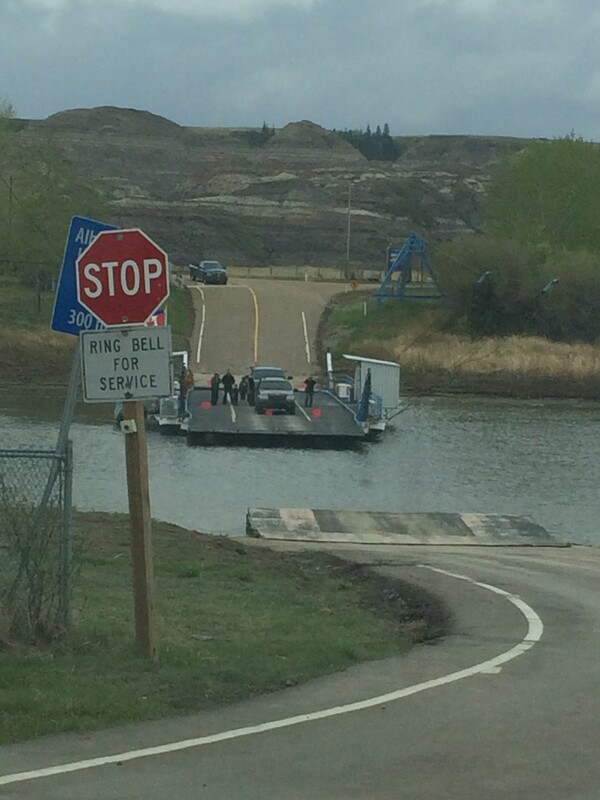 The cable ferry transports visitors like us, but it serves farmers and businesses in the area that need to cross the Red Deer River. We learned how they use an abacus to count the passengers and vehicles that cross each day. 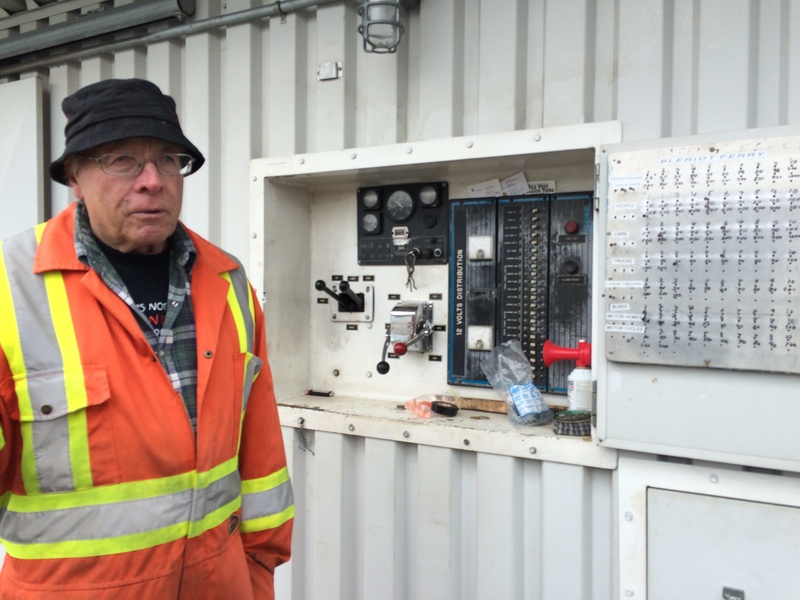 The civil engineer on board was very excited to learn how the ferry operated. And I was reminded it was time to take The Rocket for a car wash.
We headed south on the west side of the river – this view from the Dinosaur Trail was equally stunning. Back in town we stopped for a coffee break at Cafe Ole. Someone was in a much better mood after their daily latte and ready to hit the road again. We headed south on the Hoodoo Trail where we took in the 11 bridges to the hamlet of Wayne. 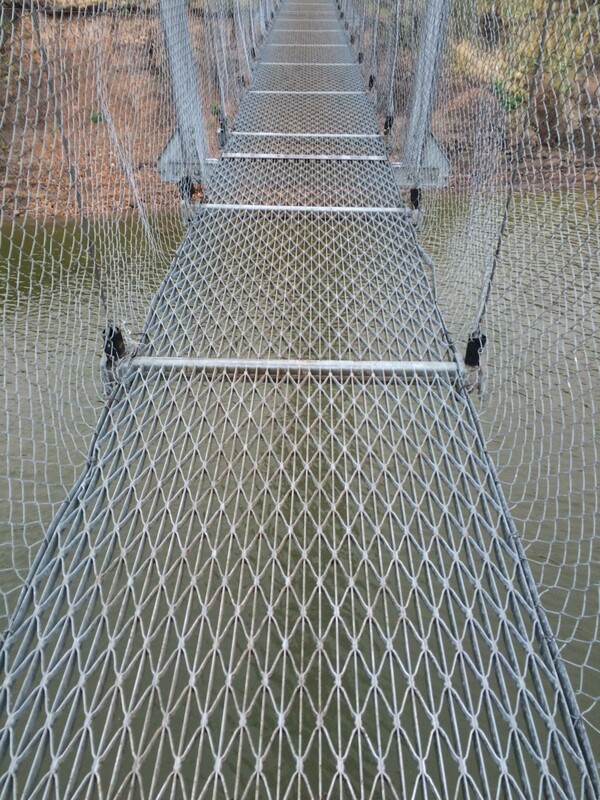 The Last Chance Saloon was closed for an event, so we headed back towards Rosedale to check out the suspension bridge. 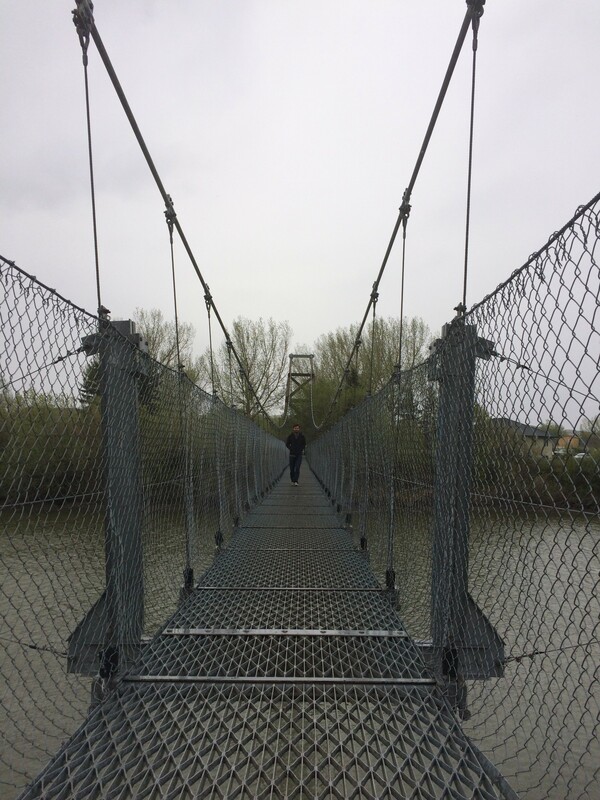 The Star Mine Suspension Bridge is a 117 metre long pedestrian suspension bridge which crosses the Red Deer River in Rosedale. Constructed in 1931, the bridge was built for the coal workers of Star Mine. 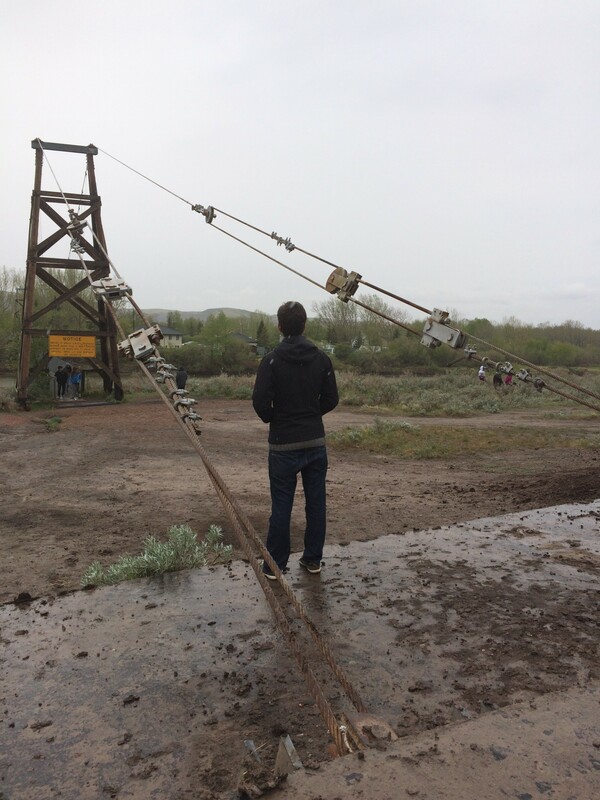 Even though The Spaniard could easily move the cable with his hand, he felt it was safe enough, even though it was totally swinging when we crossed it. I’m just glad we made it across safely and I didn’t drop my camera or my phone. If the weather was more cooperative I think we would have took in a few more sights. 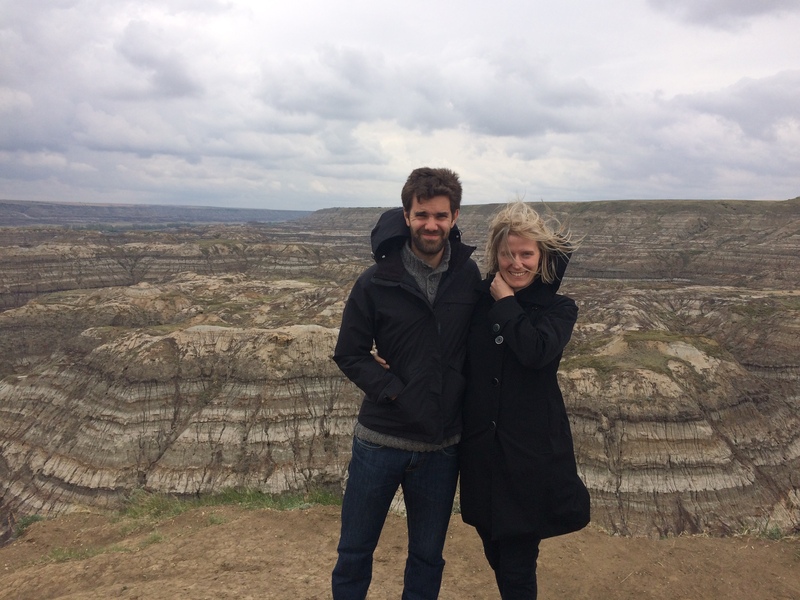 I think to enjoy the Badlands you need two full days, but we had our dino fix and it was time to move on.